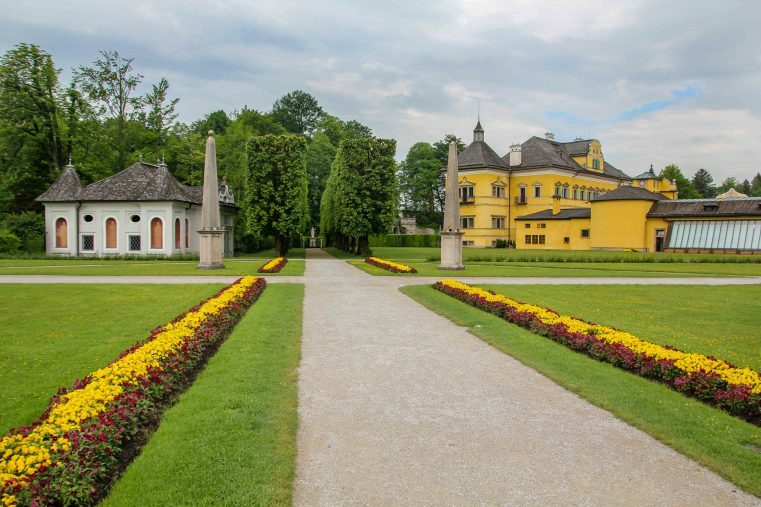 Hellbrunn Palace is one of Salzburg’s most beautiful and fascinating places to visit. Beside the picturesque baroque Hellbrunn Palace and the marvelous Hellbrunn Gardens, the main highlight are the popular Trick Fountains nearby the palace. 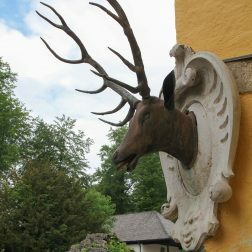 And also the neighboring Salzburg Zoo is a real visitor’s magnet. At least you should plan a half day trip to explore this places. Here are our travel recommendations. 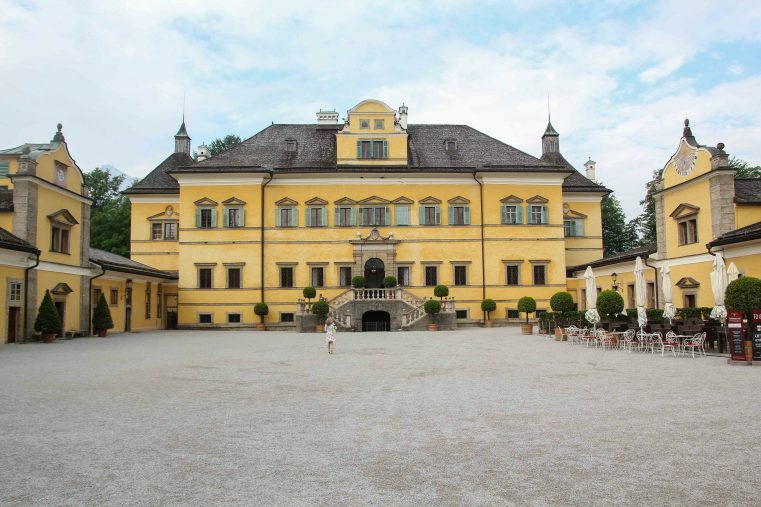 The Hellbrunn Palace is about 400 years old and was built 1913-19 by Markus Sittikus, a prince archbishop from Salzburg. 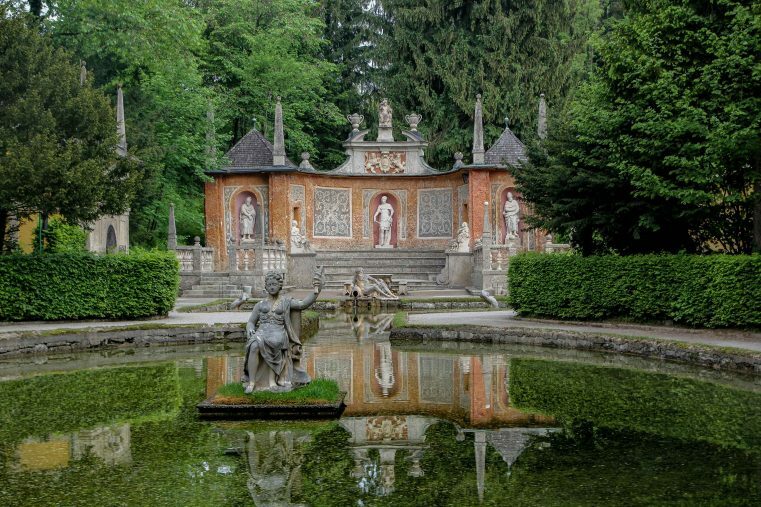 He used the Hellbrunn Palace as a pleasure palace, a place for entertaining his guests and for celebrations. His goal was to create a place unlike anything his guest have ever seen before. 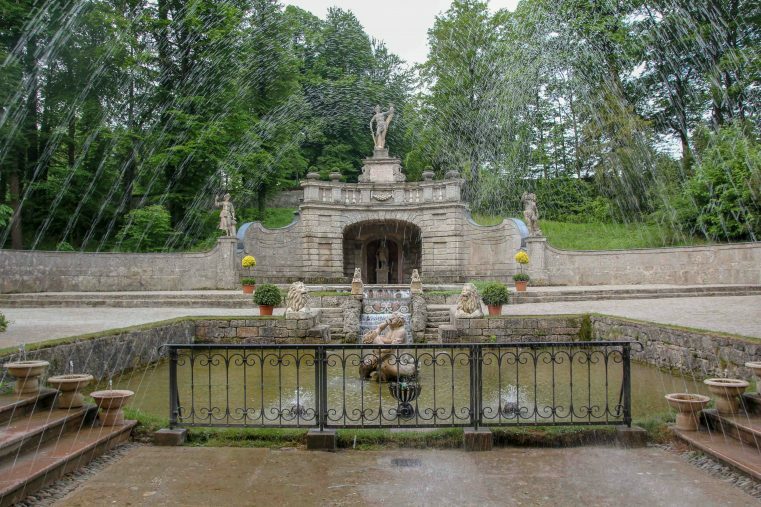 Until today you can feel the charm of the older times, it’s a pleasure to stroll along the beautiful gardens and enjoy the picturesque pools and the beautiful sculptures. 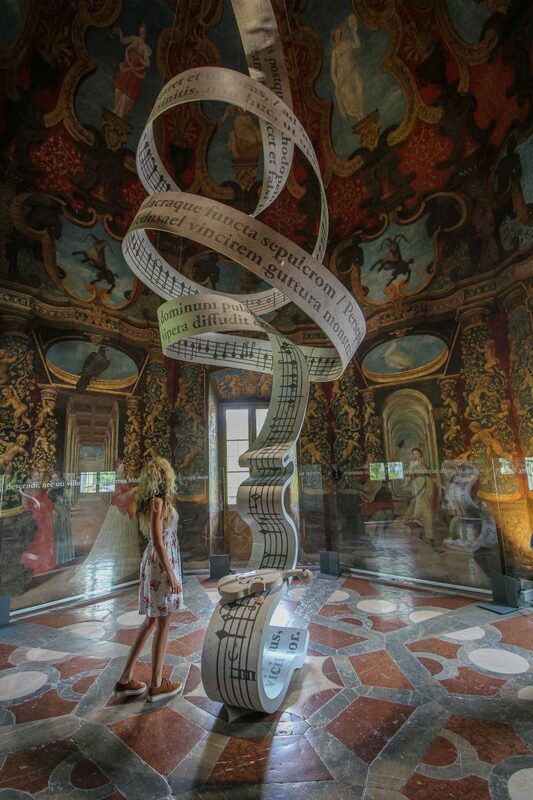 For all “sound of music” movie fans: Don`t miss to visit the “sound of music pavilion” inside the park! Visiting the gardens is for free. 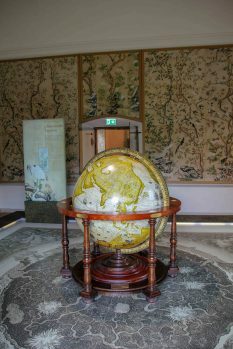 The Palace can be visited by audioguide and is also really worth a visit! 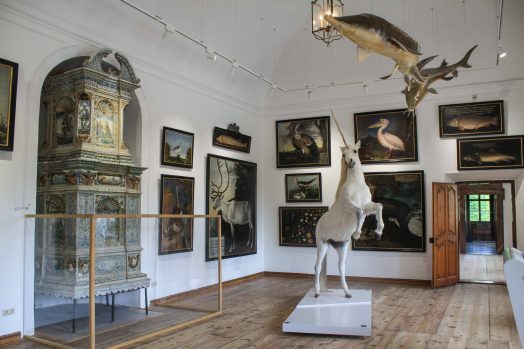 You will learn more about the colorful history and the different exhibitions rooms are very interesting. 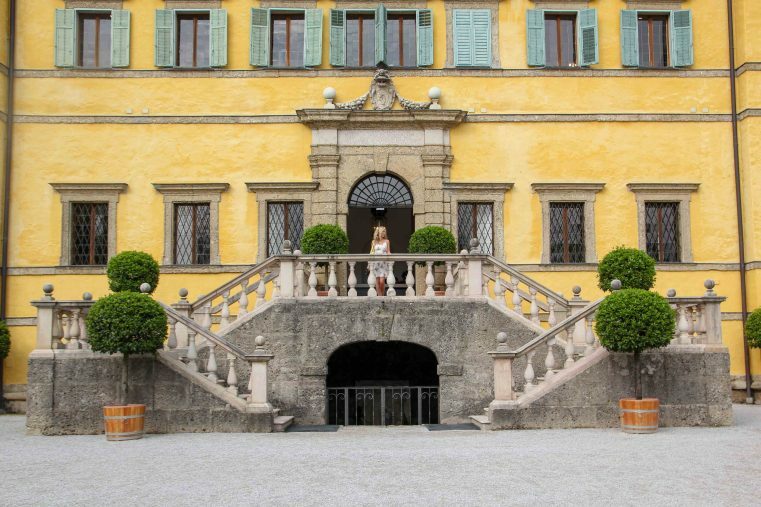 With the Salburg Card the entrance to the palace is free of charge! 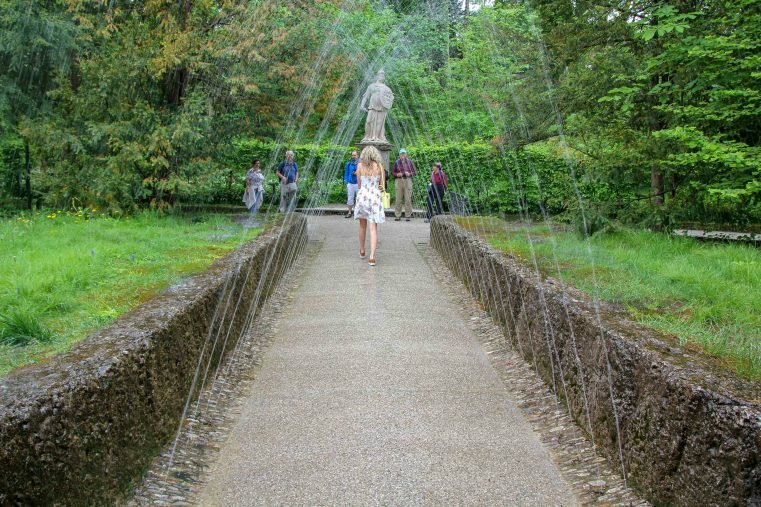 Visiting the Hellbrunn Trick Fountains (Wasserspiele) is a must do if you are in Salzburg. 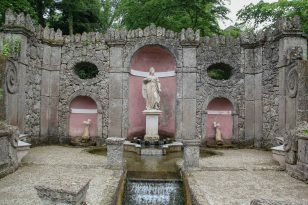 The Fountains are both, amazingly beautiful and enjoyable. 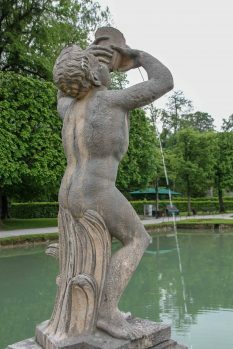 That’s why, in summertime, the Fountains are a really popular tourist attraction in Salzburg. 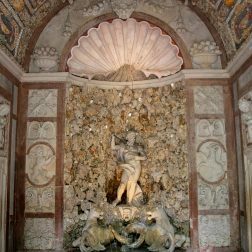 Markus Sittikus had a keen sense of humor and knowed how to astonish and entertain his un-suspecting guests: Hidden fountains that surprise and spray at visitors. 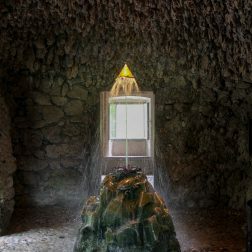 Hidden grottos, originally water-powered figures and an unique ambience astonishes the guests. For exploring the Trick Fountains you need to take a guided tour which shows you all of the hidden tricks and mechanism. Thanks to our guide, we had lots of fun at this tour and we got drenched several times. Beware that the water can come from anywhere, so take care of your cameras. Best you try to take the first guided Tour in the morning (9.00 am). At this time the area is calm and the tour groups smaller. 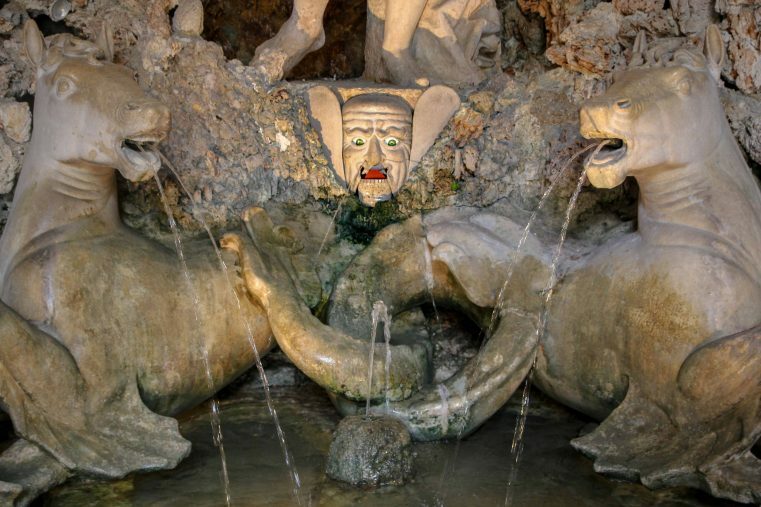 The tour takes about 40 minutes and the entrance fee (€ 12,50 for adults) includes the trick fountains, palace and folklore museum and can be visited from March 29 to November 4. With the Salburg Card this tourist attractions is free of charge! 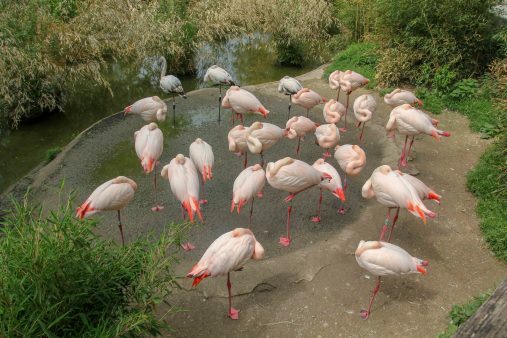 The Salzburg Zoo attracts visitors, old and young, with its wide range of animals from around the world. 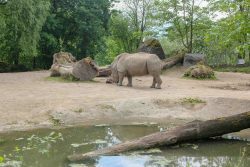 Interesting is that back in the 15th century, Markus Sittikus founded the Zoo as an wildlife park. 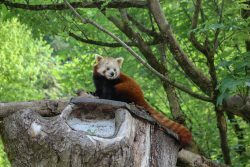 Today the Salzburg Zoo provides on 14-hectare grounds plenty of space to showcase and protect nature. 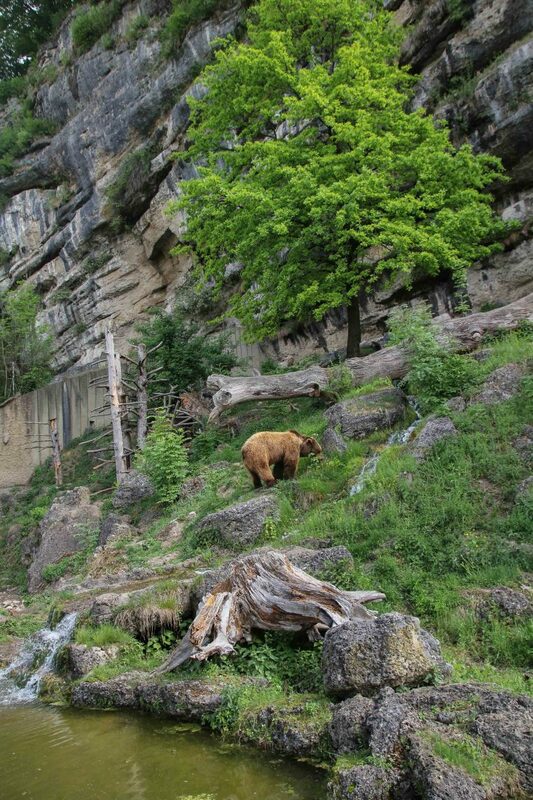 We had been amazed of the natural surrounding large enclosures. 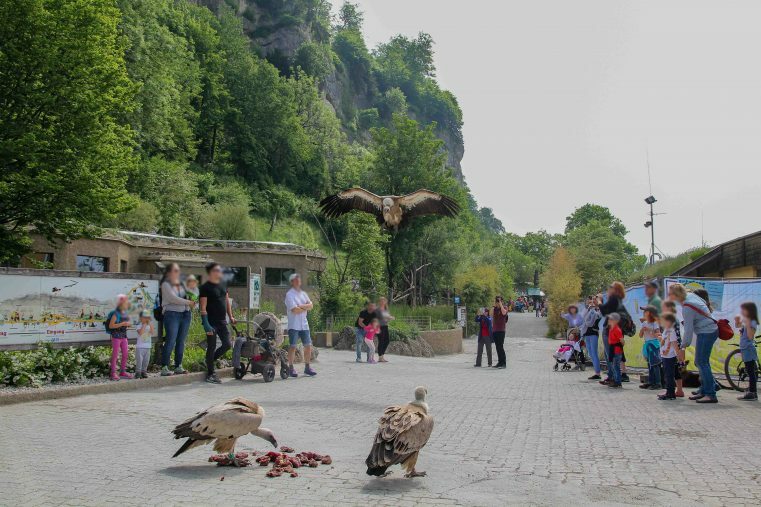 Highlight for us was to watch the feeding of the vultures taking part just next to the visitors on the pathway. How to get to Hellbrunn? 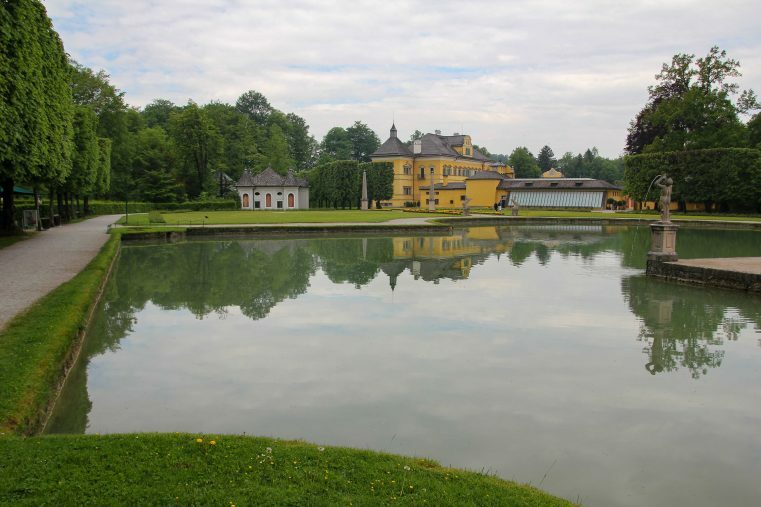 Both by car or public transport, Hellbrunn is easy to reach. By car it’s around 15 minutes form Salzburg city center. 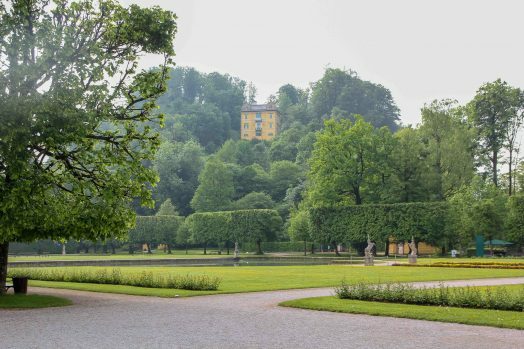 Parking is available at Hellbrunn Zoo and at Hellbrunn Palace. 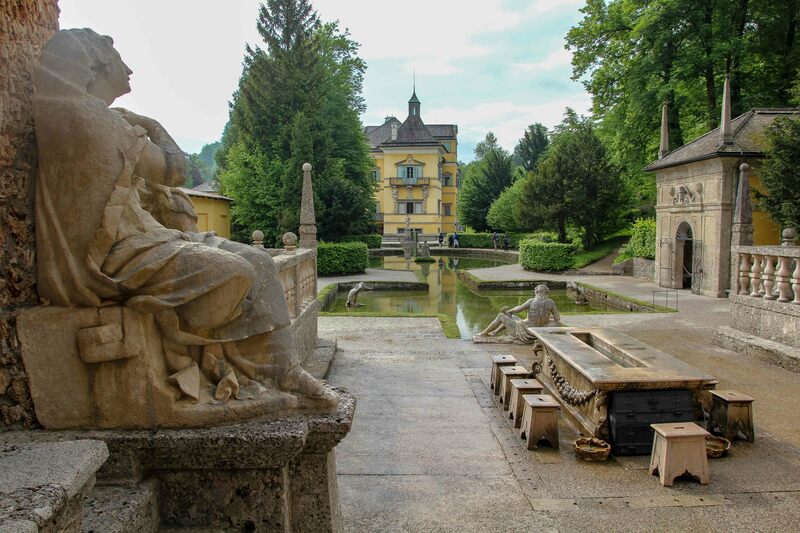 Hellbrunn also can be reached by public bus or the Salzach Cruise: Take the bus Line 25 from main train station to Hellbrunn or from the city center. Or via boat on the Amadeus to Hellbrunn. 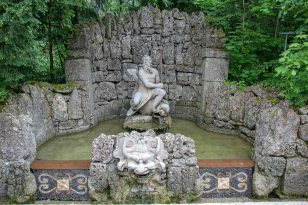 Salzburg Card: Hellbrunn Palace, Trick Fountains and the Salzburg Zoo are all included with the Salzburg Card.